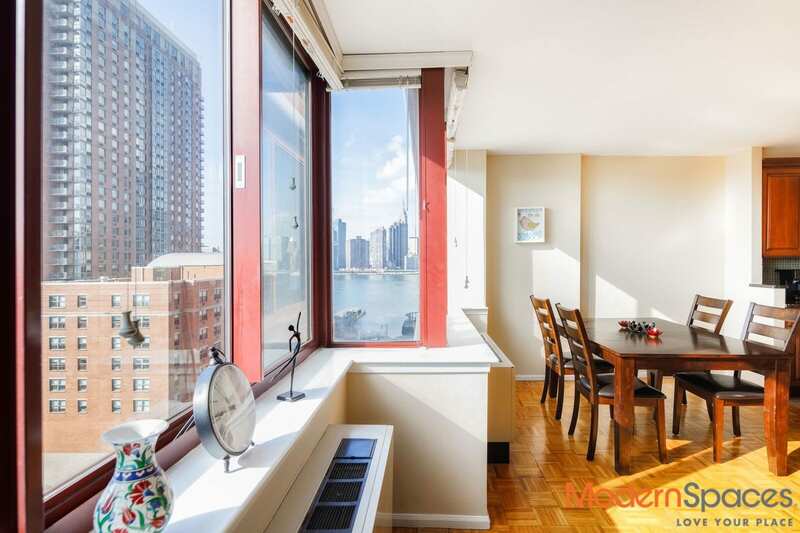 City Lights is a full service luxury building located by the waterfront of LIC. City lights At Queens Landing is a highly sought-after 42-story condop building designed by famed Argentine-American architect Cesar Pelli. Building amenities include : 2 Tennis courts, concierge, laundry, five story garage with parking for less than $200 a month, full time doorman and a large duplex roof-deck. 3 blocks a way to 7 subway station and 1 train stop to Grand Central. Close to other subways as E,M, G. The building is a brisk five minute walk from the water taxi, east river ferry and the LIRR, allowing fast access to Brooklyn, Manhattan and Long Island. 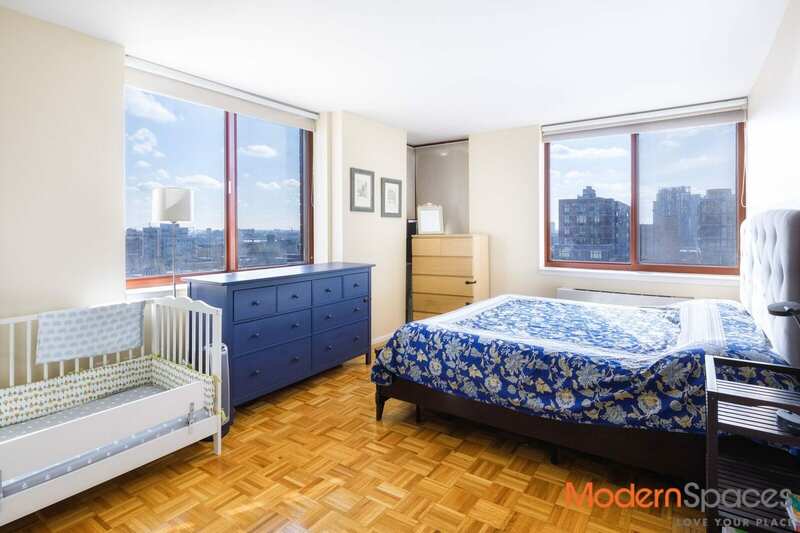 Large, Sunny Corner Apartment has South and West exposures, Oversized bedroom, full bathroom, custom closets, hardwood floors. 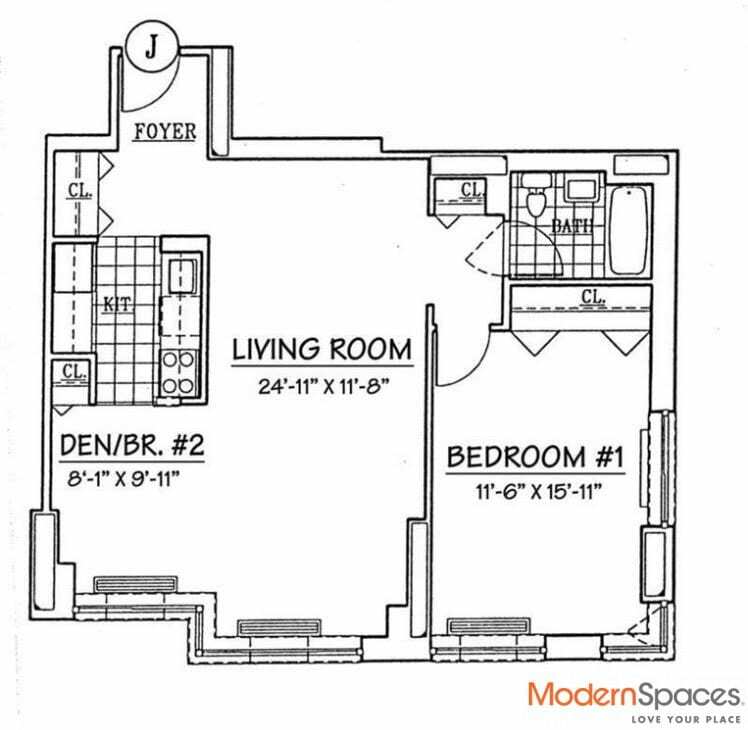 This 863 SqFt unit could be converted to 2 bedrooms. Move in June 15th Building: City Lights is a full service luxury building located by the waterfront of LIC. City lights At Queens Landing is a highly sought-after 42-story condop building designed by famed Argentine-American architect Cesar Pelli. 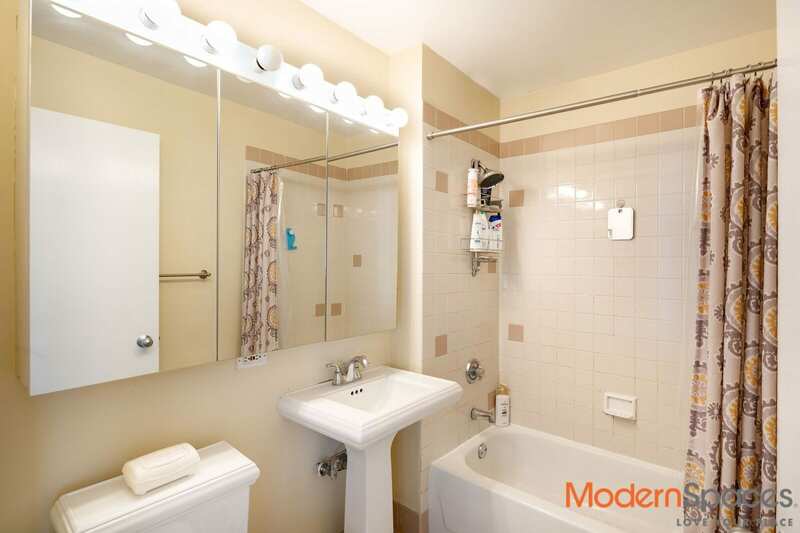 Building amenities include : 2 Tennis courts, concierge, laundry, five story garage with parking for less than $200 a month, full time doorman and a large duplex roof-deck. Transportation: 3 blocks a way to 7 subway station and 1 train stop to Grand Central. Close to other subways as E,M, G. The building is a brisk five minute walk from the water taxi, east river ferry and the LIRR, allowing fast access to Brooklyn, Manhattan and Long Island.